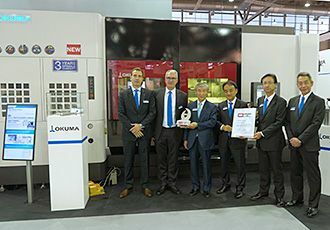 Okuma Australia Pty Ltd (ACN 18 000 008 211) and Okuma New Zealand (1488920) are both 100% wholly owned subsidiaries of Okuma Corporation, Niwa-Gun, Aichi Prefecture, Japan, 480-0193. Our businesses specialise in the sales and service of highly productive CNC Machine Tools, Factory Automation and support services. We sell to and service all states and territories of Australia and all regions of New Zealand. We have fully staffed offices in Melbourne (Head Office, Victorian Branch office and National Technical Centre), Sydney, Brisbane, Adelaide, Perth and Auckland, New Zealand. Our structures are commensurate with the requirements of the relevant marketplaces and appropriate corporate governance. Significantly experienced and qualified business managers, accounting and finance staff, sales engineering team who are engineering trained and who must possess commercial experience and integrity. Technical management, staff and Applications Engineers who have a wide ranging mix of qualified experience in current manufacturing methods, CAD/CAM, CNC programming, training capacity and able to meet the challenges presented to our company by our customer base. Mechanical Service Engineers who are highly trained and skilled in machine tool fitting, limits and fits, field troubleshooting, hydraulics, lubrication and pneumatic systems. Qualified electrical Service Engineers who possess appropriate certification and licencing. Clerical staff to complete commercial business work. Okuma machines are utilised in all fields of manufacturing enterprise and therefore we sell to all sectors of manufacturing industry.